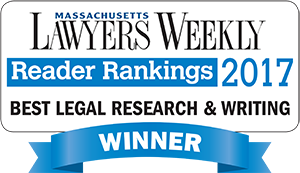 Lawyers' Legal Research & Writing Services in Massachusetts Who must repair a retaining wall separating two properties? When the retaining wall separating his property from Jerry’s abutting land began to collapse onto Bob’s land, Bob suggested that Jerry repair the wall. Jerry, in turn, thought it would be far better if Bob paid the $50,000 repair cost, and made this clear in a certified letter from his attorney. It is unclear whether the wall is located on Bob or Jerry’s land. Which of the owner’s must repair the wall? Or must they both? The answer depends on the history of the wall more than on its location. Bob’s and Jerry’s respective lots are located on a hill, with Jerry’s land higher on the slope than Bob’s. Neither Bob nor Jerry has erected any structures on their lots. Many years ago, the portion of Bob’s property nearest Jerry’s land was at a higher elevation than the remainder of Bob’s land. Wishing to create a level lot, a prior owner of Bob’s land excavated the portion near Jerry’s land, to lower its grade to that of the remainder of the lot. Because this excavation left Jerry’s property at a much higher elevation than Bob’s excavated lot, and in danger of collapse, Bob’s predecessor build the retaining wall to provide adequate lateral support to Jerry’s land. There is some evidence that some or all of the wall is actually on Jerry’s land. Neither Jerry nor any of his predecessors played any part in building the wall. The rule of lateral support. Under the rule of lateral support, a landowner has an absolute right to the continued stability of the land in its natural condition and if a neighboring owner alters his or her land so as to remove the lateral support for the landowner’s land, that neighbor is liable for any harm caused to the landowner’s land. To prevent such damage, the neighbor responsible for making alterations which deprive the landowner’s land of support may build a retaining wall. In such a case, the neighbor and all of the neighbor’s successors in title, have a continuing duty to maintain that wall. A party who interferes with an owner’s right to lateral support is strictly liable for resulting harm to the owner’s land, without proof of negligence. Although strict liability does not apply to harm to structures on the land, that exception is irrelevant to Bob and Jerry because they placed no structures on their lots. The duty to maintain or repair a retaining wall. The decisive question is what are the legal duties and responsibilities of the defendant with relation to the maintenance of the retaining wall built by a predecessor in title in the circumstances before set forth. The law with relation to lateral support is of ancient origin and is firmly established. The right of an owner of land to the support of the land adjoining is jure naturae, like the right in a flowing stream. Every owner of land is entitled, as against his neighbor, to have the earth stand and the water flow in its natural condition * * * [and] in the case of land, which is fixed in its place, each owner has the absolute right to have his land remain in its natural condition, unaffected by any act of his neighbor; and, if the neighbor digs upon or improves his own land so as to injure this right, may maintain an action against him, without proof of negligence. This being the basic law, the question in the case at bar is whether the defendant, the present owner of the land upon which the excavation was made and the wall built by a predecessor in title, is bound to maintain the wall in such condition as to prevent damage to the plaintiff’s land…. The plaintiff has cited in support of her position … Foster v. Brown, 48 Ont.Law Rep. 1. In the last case cited it appeared that an excavation had been made upon land by the predecessor in title of the defendant, and that the former had built a retaining wall for the purpose of providing support to the plaintiff’s adjoining land; that this wall ‘got out of repair and failed to answer the purpose for which it was built’ … The court held, in substance, that the defendant was responsible for the damage that the plaintiff had sustained, saying, at pages 5, 6, that it saw ‘no reason why, if a person who is in possession of land in which there is an excavation which is a source of danger to the public, although the excavation was not made by him but by a predecessor in title, is liable for the consequences of his permitting the dangerous condition to continue, the same rule should not be applied where a lateral support has been withdrawn by a predecessor in title, and the condition so caused has been permitted to remain and to cause injury to his neighbor, the owner of the land at the time the injury occurs should not be answerable for it.’ … And at page 6, Fry, L. J., expressing his concurrence said, in part: ‘I am unable to understand why the failure of a subsequent owner to provide the necessary support, and a fortiori where he suffers a retaining wall to decay, is not equally a continual or continued withdrawal of support * * *.’ See 10 B.R.C. 918, and annotation. We have already said, in substance … that the right to lateral support of soil in its natural state is a property right which naturally attaches to and passes with the soil without any grant thereof. We concur in the reasoning in Foster v. Brown, … and are of opinion that the burden of providing lateral support to the plaintiff’s land in its natural condition is one of continued support running against the servient land. Id. at 356-58. (Emphasis added, citations and internal quotation marks omitted). The Rubins invoke the obligation to provide “lateral support” as the basis for their claim with respect to defendants’ duty to repair and maintain the allegedly collapsing retaining wall. A landowner is entitled to “the support of the land adjoining,” and therefore excavations on adjoining property that would undermine a plaintiff’s land or cause it to collapse give rise to a claim for damages and/or injunctive relief. See Gorton v. Schofield, 311 Mass. 352, 356-59, 41 N.E.2d 12 (1942); Gilmore v. Driscoll, 122 Mass. 199, 201 (1877); Ahern v. Warner, 16 Mass.App.Ct. 223, 226, 450 N.E.2d 662 (1983). The obligation to provide lateral support is imposed not only on the party that performed the excavations undermining a plaintiff’s land, but on subsequent owners of the property, who have an ongoing obligation to maintain and repair the retaining walls or other structures that provide the necessary support following the excavations. Gorton, supra. Id. at *1. (Emphasis added, footnote reference omitted). In a footnote, the Court explained that the duty of repair is born by the person who altered the natural topography, regardless of on whose property the wall is located. The complaint also does not specify when the retaining wall was constructed or who constructed it. By implication from the allegation that the wall is entirely on the Sandjajas’ property, one would infer that the alteration in the land that necessitated the construction of the retaining wall was done by some prior owner of the Sandjajas’ parcel. If, however, the need for the retaining wall was created by excavation performed by some predecessor in title to the Rubins, then it would be the Rubins’ obligation to provide lateral support to the Sandjajas’ property and the Rubins’ duty to maintain the wall, not vice versa. 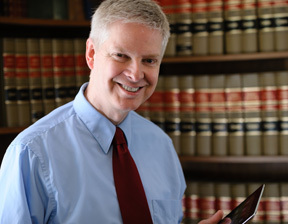 The doctrine of lateral support imposes an obligation on the party that has altered the land in the first place, requiring that the party doing the alteration provide some adequate alternative to maintaining appropriate support for any land that has been destabilized by the alteration. For all that appears, it was the owner of the [plaintiff’s] lot who altered the natural topography and built the retaining wall. The right to lateral support, classically, is the right of a neighbor to have land remain in its natural condition and is maintained against the person who digs upon or improves his own land so as injure [sic] that right. Id. at 119. The same right to lateral support may be invoked where the defendant has filled his land to a higher elevation rather than excavating his land to a lower grade. Rubin, 1999 WL 706710, *1-2. In the scenario outlined above, the retaining wall was originally constructed by Bob’s predecessor in title, in connection with an alteration of the grade of Bob’s property. Accordingly, as the party who altered the natural topography, the past owner of Bob’s property had the duty to maintain the retaining wall so as to protect the right of Jerry’s property to lateral support. That duty ran with the land and was imposed by all successive owners, including Bob. Moreover, successive owners of Bob’s property had the duty to maintain the wall regardless of whether the wall was located entirely on Bob’s property. The right to lateral support discussed above pertains only to the land itself, not to any buildings or improvements thereon. Where a defendant’s excavation or other alteration of the land removes support from the plaintiff’s land, causing damage to the land and buildings, the plaintiff can recover in strict liability only for the injury to the land itself, not for any injury to the buildings. Moreover, the plaintiff must prove that the alteration made by the defendant would have caused damage to the plaintiff’s land (i.e., caused it to subside) even if the land had not born the extra weight of the buildings thereon. To recover for damage to structures, the plaintiff must prove that the defendant was negligent. Gilmore v. Driscoll, 122 Mass. 199, 201 (1876). See also New York Central R. Co. v. Marinucci Bros. & Co., 337 Mass. 469, 472 (1958); Kronberg v. Bulle, 247 Mass. 325, 328 (1924); Triulzi v. Costa, 296 Mass. 24, 27 (1936); Rubin, 1999 WL 706710, *1 n.1; LB Corp. v. Schweitzer-Mauduit Intern., Inc., 121 F.Supp.2d 147, 153 (D. Mass. 2000) .